Take the opportunity this week to buy someone in your life their favorite kind of candy (or other sweet treat). Do it JUST BECAUSE you love them. And, when you give it to them, be sure to use kind words and tell them several reasons why they make your life sweeter. 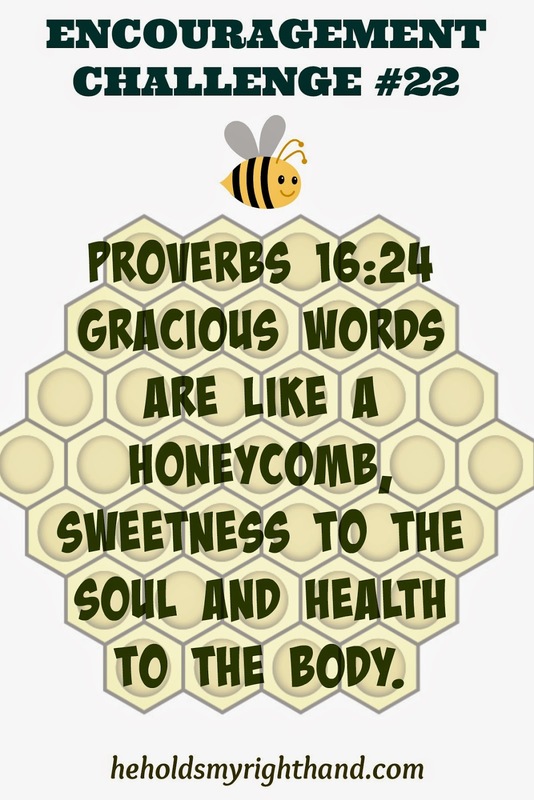 The verse above tells us how gracious words bring sweetness to the soul, and are healthy for the body. In other words, your kindness can bring great encouragement. 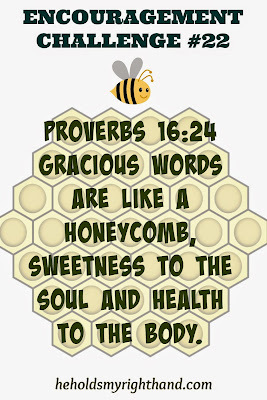 So, in the same way that bees make our lives sweeter with the honey they make, go and BEE an encouragement this week to someone you love.